The Scorpions & Saif Abu Bakr - Jazz, Jazz, Jazz. Vinyl LP. Bleep. Through extensive African and Middle Eastern tours to mass political upheaval in the 1980s and eventual prosecution (or simply lack of work opportunities) under Sharia law, the vibrant jazz scene of Khartoum, Sudan undeniably left its mark on the nation’s capital. As the scene began to dissolve, many seeking opportunity elsewhere in Kuwait, so too did one of its greatest musical acts: Seif Abu Bakr and The Scorpions. 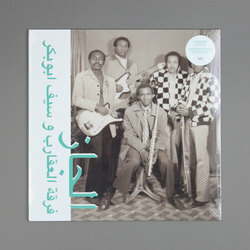 Reissued by Habibi Funk, Jazz, Jazz, Jazz is a stone-cold lost funk classic deserving of global attention.